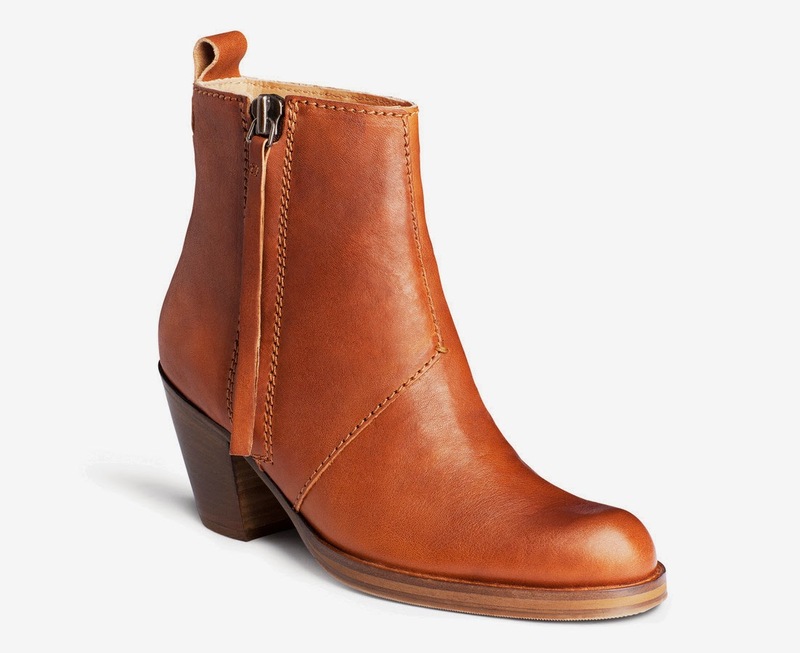 Recently I received an email from someone I’ve worked with for many years, who told me that she had finally treated herself to some Acne Pistol boots. She had coveted them for many years and in line with her New Year’s resolution of buying fewer things, but things that she really loved, she had at last taken the plunge. I work with many women, some who are so desperate with the state of their wardrobe and their body image that they are close to tears, so it’s always lovely to hear from someone who is thrilled with something that they have bought. I realised that I hadn’t worn them all winter and that this year I had instead been wearing black boots a lot, probably because I have quite a lot of grey jumpers. However I fancied a brown and navy combination and on wearing them I was reminded of why they are such a good style. 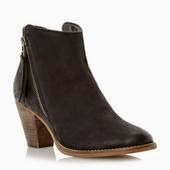 The shape of these boots is flattering on the foot, with a nicely rounded – but not too rounded – toe. The heel is solid and a good height, getting that perfect balance between leg elongation without tottering. 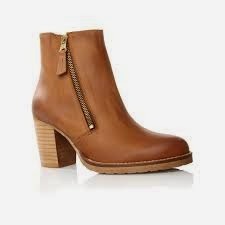 And whilst now is not really the time of year to be writing about boots, people wear them well into the spring and summer with shorts and pretty dresses too. Plus the weather is still pants and I can’t think of wearing much else on my feet other than boots. Or perhaps flippers. 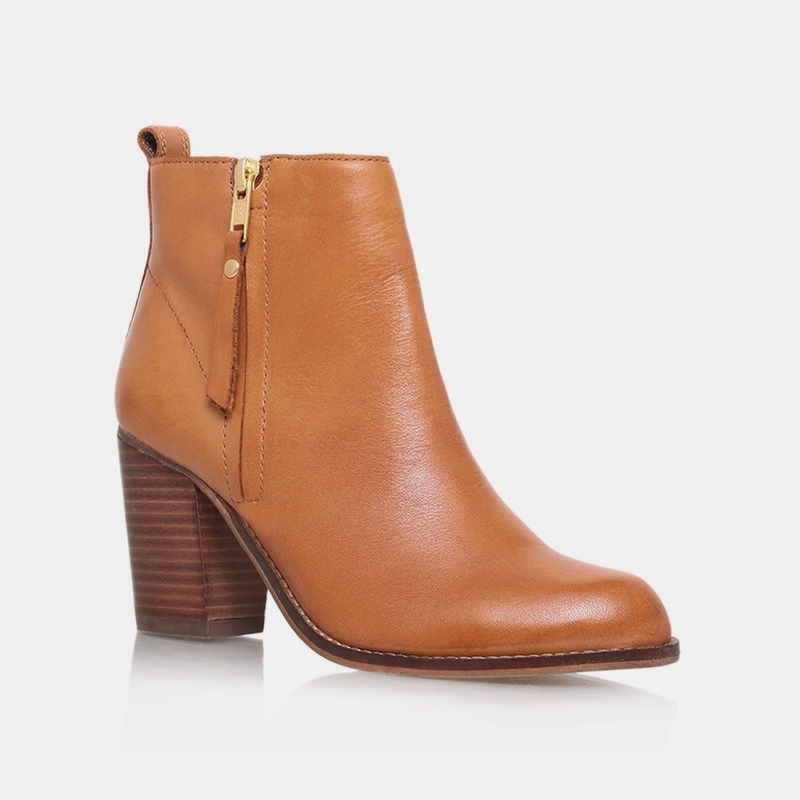 So as to some other options which are currently available, should anyone feel the need to add a pair of ankle boots into their wardrobe, as opposed to sandals or flip flops, or indeed flippers. The Kurt Geiger Tanga are currently reduced from £150 to £89. They don’t look significantly different to the Sweep style, other than perhaps being slightly less chunky. The Dune Pollie (£99) are also a good choice and they come in navy, tan and burgundy as well as black. The Dune Phillie (£135) are my current favourites. They have a lovely texture to them. Slightly beaten up and a bit scaly/reptile like. Selling them well aren’t I? But seriously they are worth a closer look. They are from the Dune Black range which has some real gems in there. 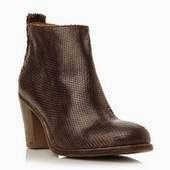 They also come in tan but the finish on those is a flat leather, rather than a textured finish. For my money, the Pistol boots have earned their fashion stripes and despite detractors who felt that they wouldn’t be here to stay, I think that they will be. The reason? As with many other classics such as breton tops, cashmere jumpers, trench coats, loafers, cigarette style pants, skinny jeans, diamond studs, a well cut white shirt, the list goes on….they just work. And after putting my (copies) back on after a year or more off, I could see that – or more probably feel it – as plain as day. Next Post The hunt for the perfect white jeans is on and has been for some time now…..any ideas anyone?